Snapchat has solved one of the most annoying problems with mobile video so you can finally record your dance parties, even if you’re the DJ. The startup been experimenting for some time with ways to better integrate music into its application. Today it’s launching a new feature that allows you to record video while playing music from your phone, rather than the music pausing. You can bump jams from iTunes, Spotify, SoundCloud, or any other app while recording. The feature has just rolled out to iOS with the release of Snapchat version 9.2.0, but has yet to appear in the Android version hosted now on Google Play. 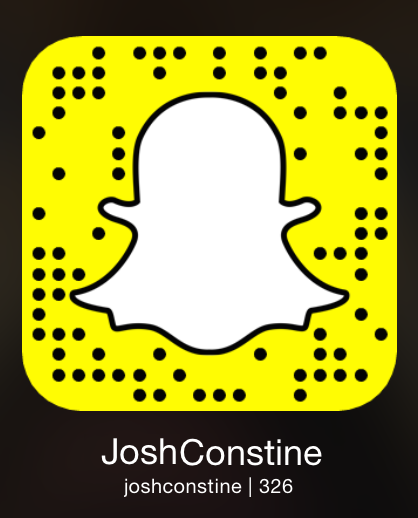 If you want to see how it works and hear my little review, check out my demo on Snapchat Stories by following “JoshConstine” or pointing your Snapchat at this Snaptag QR code. Send me your best music snaps. Snapchat records the music at a very high volume that works fine if you’re not saying anything. But if you want to talk into the camera, you’ll have to shout. The ability to create musical snaps without a second audio device will give extra creative flexibility to the growing ecosystem of star content creators on Snapchat Stories. It is a little fishy that the feature comes shortly after Snapchat shut off sharing from the music video app Mindie, which let users pick a song as a soundtrack, then shoot an accompanying personal video that could then be shared to other social networks. Snapchat cited its security policy as the reason for cutting off access from Mindie at the time of its removal earlier this month, and even reset the passwords of those who had given Mindie their credentials. The music plus video features gives Snapchat a leg up over competing video apps like Vine, for example. The inability to record video while playing music has been the bane of many Viners and amateur videographers. The iPhone’s default video camera, Vine, and other apps will pause music as soon as you start recording. While seemingly a minor addition, support for snaps that include music playing from users’ own phones could pave the way for Snapchat’s grander plans in the music space further down the road. The company has, so far, shown a keen interest in making music a deeper part of the Snapchat experience – and that’s something that also likely resonates with the younger demographic that uses the app most often. In the past, Snapchat has experimented with promoting music by featuring artists like Goldroom, Vance Joy and Strange Talk in its promos, which, in some cases, allowed users to tap through to the iTunes store to buy the track when the video promo ended. And in emails leaked via the Sony hack, it was unveiled that Snapchat CEO Evan Spiegel had been actively discussing ways to make Snapchat a better tool for promoting artists, and even toyed with the ideal of running its own label. More recently, it’s been rumored that the company is looking to buy Taylor Swift’s label, Big Machine, according to the New York Post. But now you’ll be able to easily record your own videos with soundtracks. Get ready for a lotttt of karaoke Snaps.